It’s Thor’s-day (see what I did there), and my favorite pillaging and plundering Vikings are back in action on the History Channel tonight. 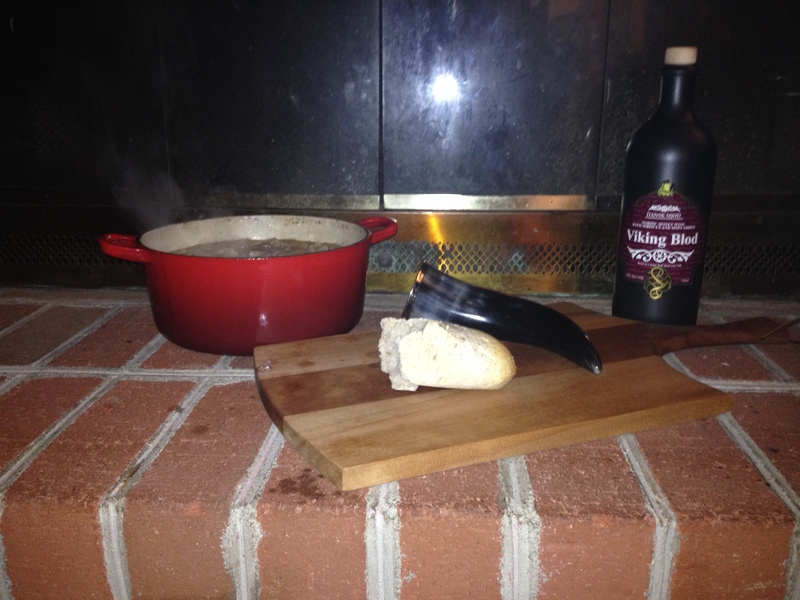 In honor of the new season of “Vikings,” I’ve prepared an authentic Viking feast to enjoy while my husband and I watch the first episode of season 3. Vikings were farmers and hunters as well as warriors, and the type of food they ate reflects their surroundings as well as the trading empire that was developed later in the Viking age. For most Vikings of moderate means, there were two daily meals, usually consisting of some sort of meat or fish, along with farmed or foraged vegetables and herbs. Stews were common, with meats like pork, lamb, goat, beef and horse being kept for milk and meat, and wild game like deer, rabbit, squirrel and wild birds being hunted. In terms of vegetables, potatoes were unknown to the Vikings, and the only carrots they knew were white in color, not orange. Turnips, parsnips and other root vegetables provided starch in the Viking diet in the absence of potatoes, which did not arrive until the Columbian exchange in the 15th and 16th centuries, when Europeans colonized the New World and brought back its native plants. Herbs like dill, coriander, mustard, fennel, thyme, wild parsley and juniper berries have all been discovered in the archaeological record of Viking sites across Scandinavia and in the British Isles. Later trade networks brought access to spices from as far away as the Middle East. Nearly every meal would have included bread – typically made from barley or rye, with oats added occasionally (although oats were more often used as animal feed – hello baby goat!). Wheat was grown, but not as widely as the other grains. Thin, flat barley breads were baked by an open fire, and barley or rye was often mixed sparingly with wheat to make a dense, chewy, dark, biscuit-like bread. Often, small, round bread loaves were baked with a hole in the center, then strung on wires or rods. The most common beverage at the Viking table was ale, which varied in potency from the very weak, watery brew offered to children and women, to the strong ale Viking warriors consumed at feasts. Along with barley, the main ingredient in ale, Scandinavian brewers flavored their ales with juniper branches and berries, hops, alehoof, bog myrtle, horehound and yarrow. Of course, when there was a feast or other special occasion, nobles, jarls and kings in the Viking age indulged in finely-brewed mead, an ancient form of honey wine. Scandinavian rulers also imported wine from the Rhineland and other areas with which they traded. In a Dutch oven or other large pot, saute the diced onion in oil, butter or lard over medium heat until it is soft and beginning to brown. 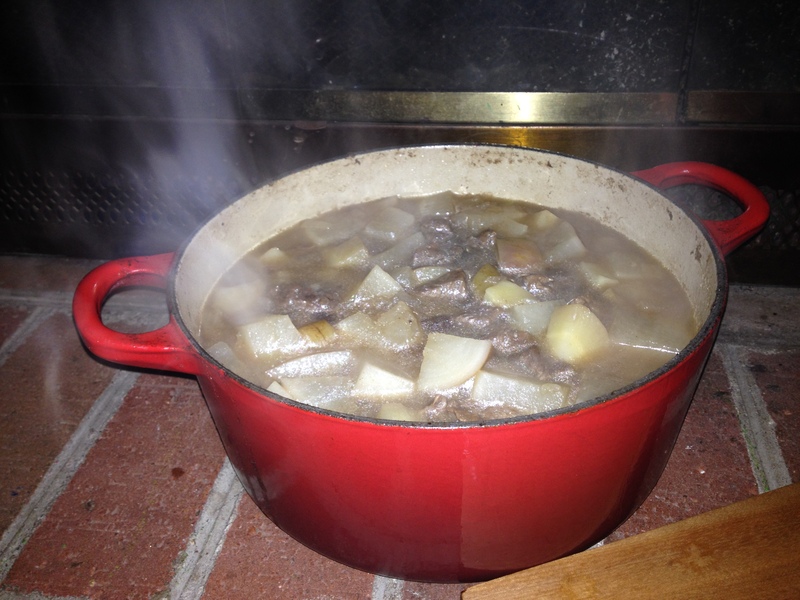 Toss in the diced stew meat and cook, stirring, until all pink is gone. Drizzle the honey over the meat, add the diced vegetables, then pour in the beef broth, ale and water. Turn the heat up to high and bring the liquid to a boil, then turn down the heat slightly, to medium-high. Simmer about thirty minutes, then add the herbs (you can add others if you like) and salt and pepper to taste. Cook an additional five to ten minutes, until the vegetables have softened and some of the liquid has reduced. Serve with crusty bread and mead or ale. To all my fellow “Vikings” fans, Skal! I can’t wait to see where this season takes Ragnar and his family. Just wanted to pop on here to explain that no, I haven’t fallen off the face of the earth. The past few weeks, I’ve had a lot on my plate (more on that later), and haven’t had time to post as often as I would have liked. Well, I had the chance to eat at Saison again. Blog followers will remember that I enjoyed Saison’s “Day of the Dead” luncheon as a part of Richmond’s Fire, Flour and Fork event last fall. 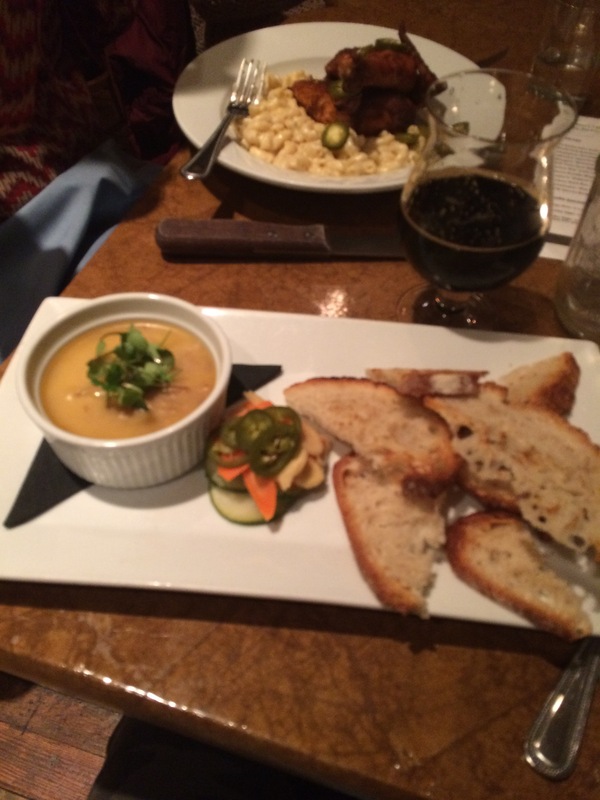 I was blown away by their food then, and my recent visit did not disappoint. 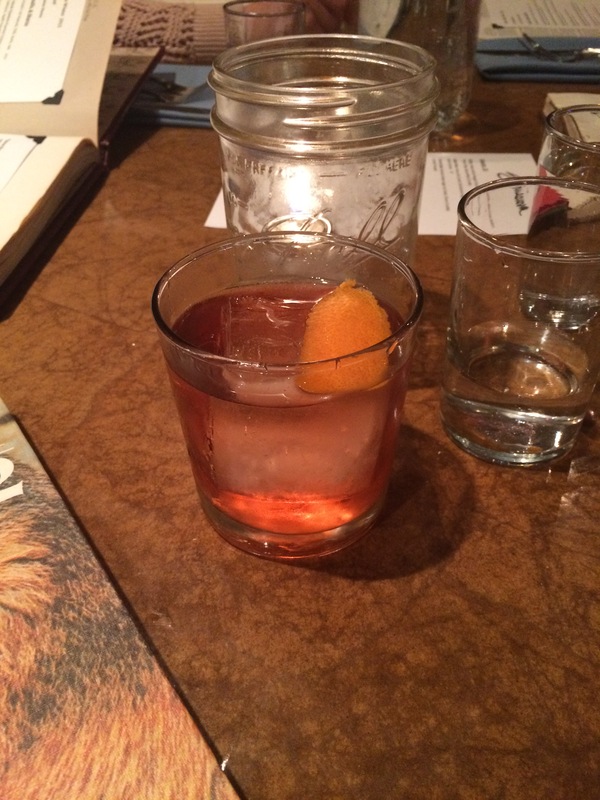 I had their “Kingslayer” cocktail to start: blended Scotch, Aquavit, Cocchi Americano and Campari. The tagline for the drink is that it is “more intricate than the politics in King’s Landing,” which is a true statement. 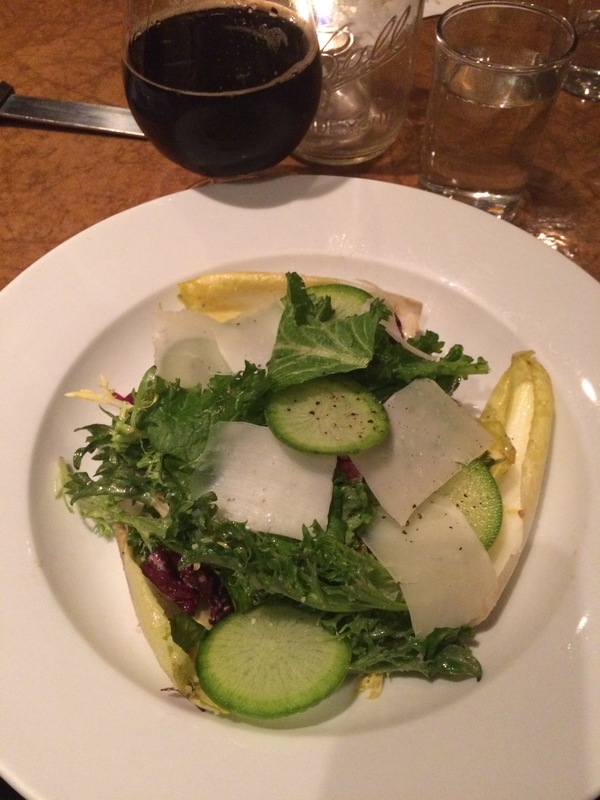 To eat, I chose a chicory salad with manchego, red onions, radish, croutons and anchovy dressing, and the carnitas rillettes, served with toasted billy bread, which were both delicious. After I finished my cocktail, I also got to try an Ardent Dark Rye imperial stout. 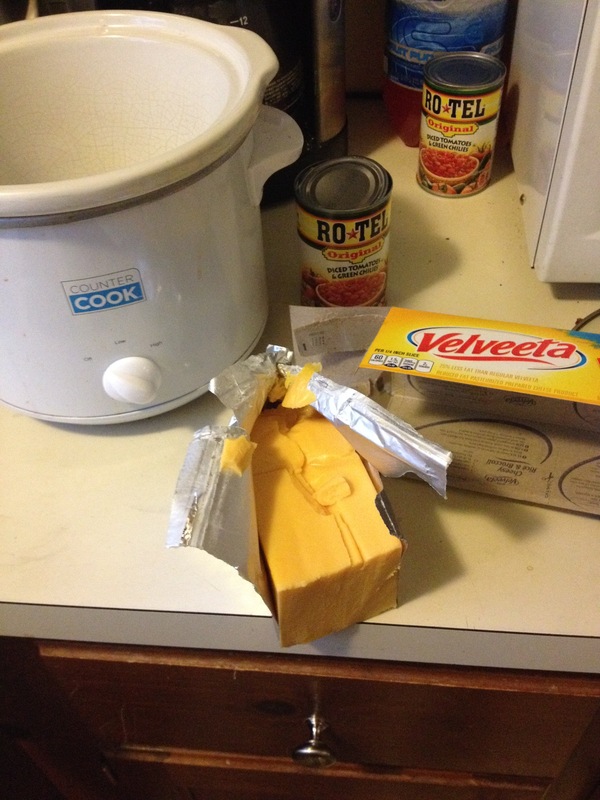 I also made a truckload of Mexican food for the Super Bowl, starting with an old favorite: Velveeta and Rotel in the crockpot. 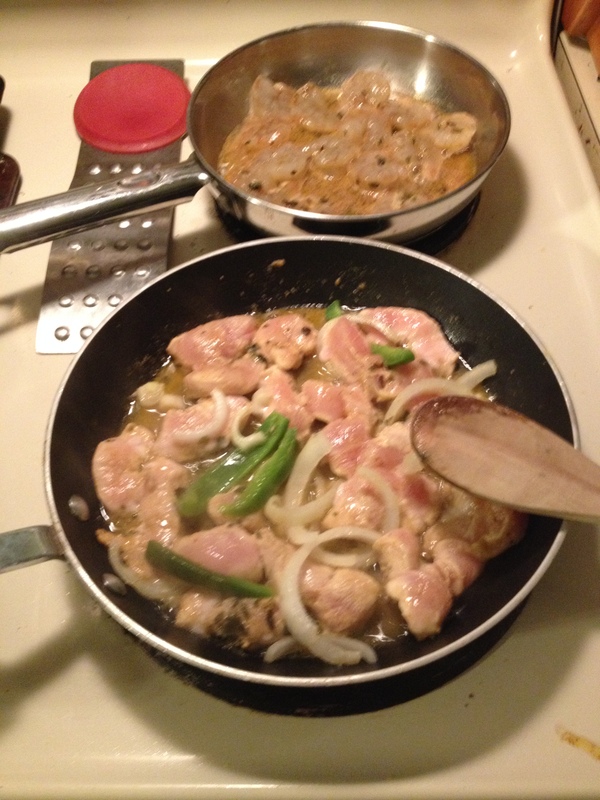 Next, I marinated shrimp and chicken in a baja-style tequila lime marinade with cumin, chile powder and oregano, then sauteed the shrimp by themselves and the chicken with green peppers and onions fajita-style. 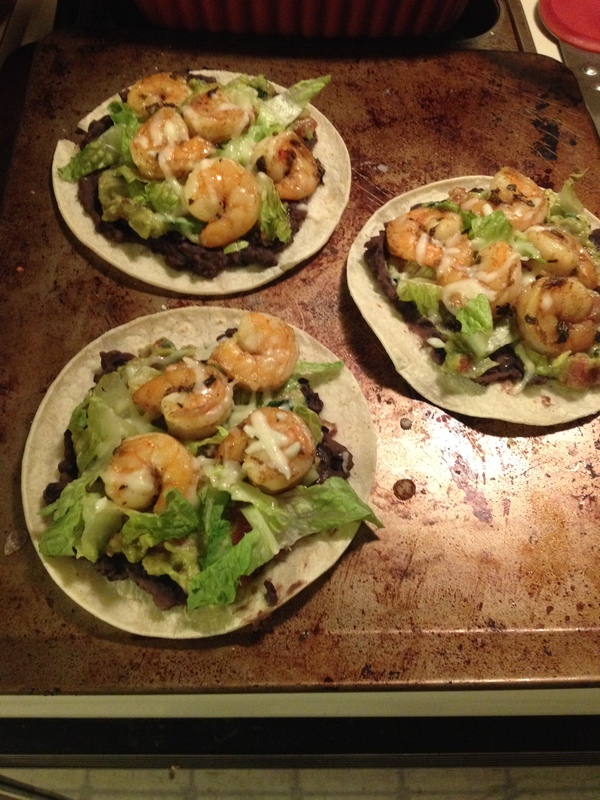 I made shrimp tostadas with refried black beans, guacamole, lettuce and the shrimp, and had all the fixin’s for chicken fajita tacos. 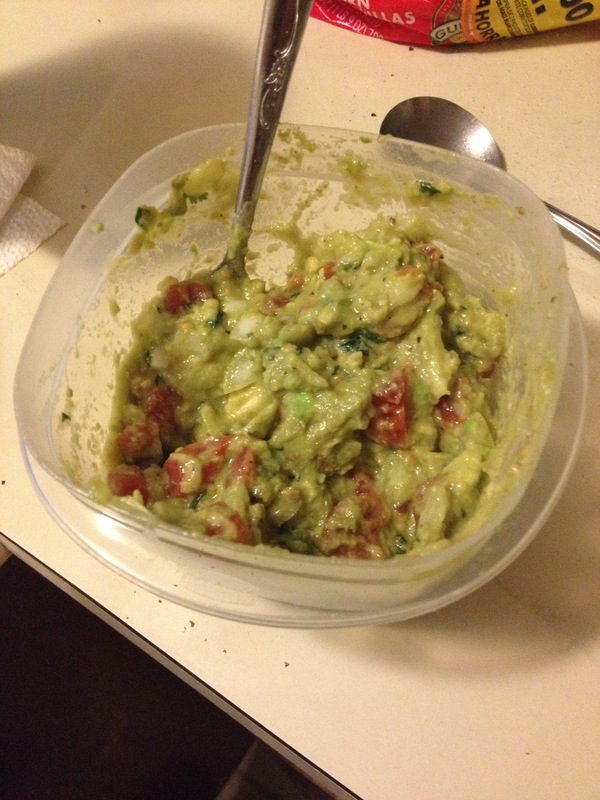 Then I made some guacamole from a recipe on the Rotel can – essentially the same guac recipe I normally make, but substituting the tomatoes and jalapenos for the Rotel. The other thing I’ve been doing over the past few weeks is transitioning from a job I’ve had for fourteen years into a new job with Virginia ABC, the state’s liquor control authority. I’m working in the relatively-new marketing department, and I’ve had a crash course in the alcohol industry and liquor marketing since I started there. I’m looking forward to learning more, and to being able to use my passion for food, drinks and craft producers in my career there.